Although we have a mixture of the three Doshas, each one of us has a prominent energy force. When our Doshas are in balance, we are healthy physically, emotionally, mentally and spiritually. 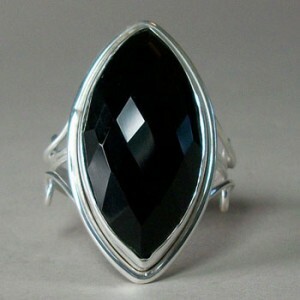 Genuine gemstones are also created with vibrational energy forces. Chakra gemstone crystals emanate specific positive energy that can influence and nourish our Doshas. Here is a list of some main Chakra Gemstones and how they affect and protect our life’s energy forces. Ether/Air Vata: improves immune function, giving stamina. Fire/Water Pitta: calm nervous system, quiets obsessions. Water/Earth Kapha: assists smooth transitions. Fire/Water Pitta: reduces anger and inspire creativity. Water/Earth Kapha: enhances self-worth, encourages fluidity. Ether/Air Vata: eases fears, strengthens lungs, encourages expression. Fire/Water Pitta: motivates listening abilities and sweet speech. Water/Earth Kapha: balances liver function/reduces bitterness in speech. Ether/Air Vatta: Jade is not the best stone for Vatta. Peridot and Adventurine balances emotions. Fire/Water Pitta: reduces excess heat, fever and inflammation. Water/Earth Kapha: increases productivity and sharing. Ether/Air Vatta: offers assurance to make decisions. Fire/Water Pitta: Not the best stone for Pitta, increases fire element. Water/Earth Kapha: aids in focus and concentration. Ether/Air Vatta: aids in the assimilation of nutrients. Fire/Water Pitta: regulates and balances breath and digestion. Water/Earth Kapha: brings healing energy and creates effortless movement. Ether/Air Vatta: offers courage, strength and a sense of belonging (connecting). Fire/Water Pitta: helps to restrain the false ego, balancing endurance. Water/Earth Kapha: source of vitality, ability to let go of what does not serve your best interest.